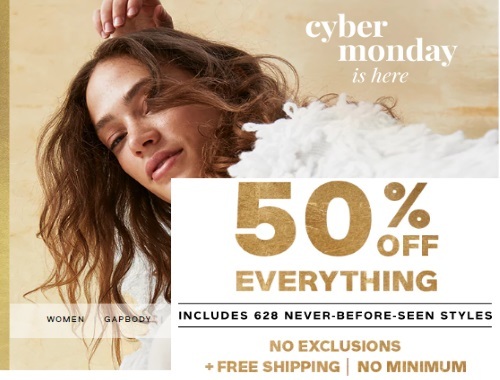 Gap's Cyber Monday is here! Save 50% off everything, no exclusions! This includes never-before-even styles! Free shipping applies on all orders too!